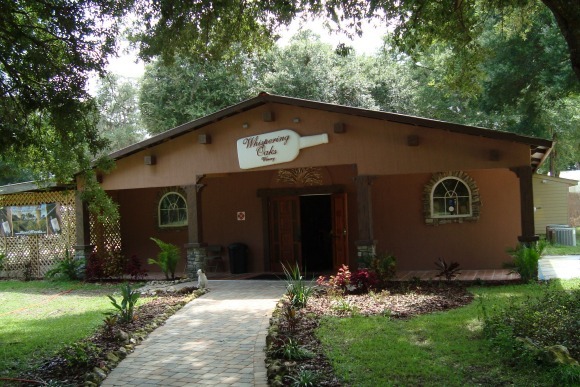 Whispering Oaks Winery is located on a large farm in the rolling countryside west of The Villages in an unincorporated area known as Oxford. They have 40,000 blueberry bushes on the farm, and naturally specialize in blueberry wines. The winery is fun to visit because of the enthusiastic personality of the owner, Johannes Vanderwey, and the ambience of the farm itself. There is a friendly bar in the Visitor Center, and Johannes gives a tour of the wine making operation. Johannes came from Idaho a few years ago and has a farming and business background. After planting the blueberries, he operated the farm as a "you pick em" operation and also sold his berries to local markets. He wanted to make the farm self sustaining; that's when the idea of a winery came to him. He retained international wine expert Dr. Brent Trela to help him create his unique wine selection. Dr Trela is a hands on expert who is under contract with the winery and will have a lot to do with fine tuning their operation and helping develop new wines. The winery has only been open since the winter of 2014, but has already attracted a large following of fans. 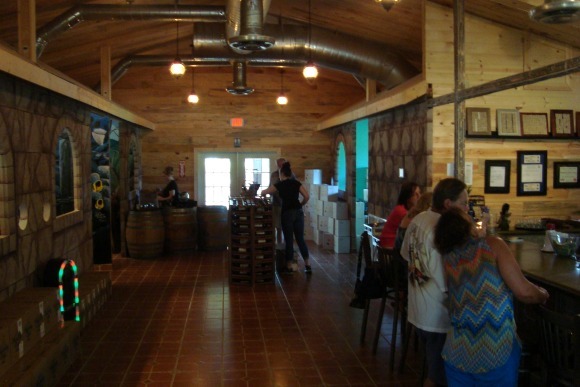 The wine that is produced here is also available in many Florida stores including Liquors of Ocala and Fresh Market in The Villages, Orlando, Clearwater and Tampa. 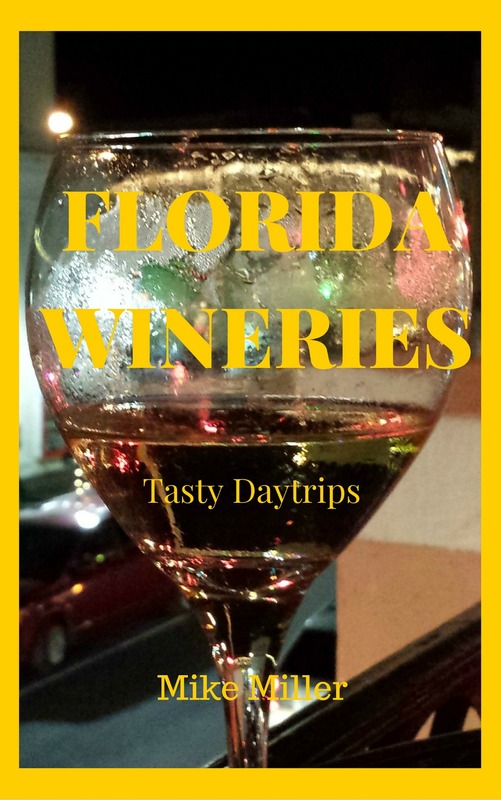 Some Florida restaurants are also making the wine available. Some of these include Ricciardis in Brownwood; Red Sauce, R.J. Gators and Garvino's in Lake Sumter Landing; and Mermaid Juice, Wine Cellars and The Wine Den in Mount Dora. The wines created by the winery range from sweet to dry, and they also have a sangria that is a blend of blueberry wine and citrus. The wines I tried while visiting were Blushing Blueberry, Wildly Mild, Sensationally Sweet and Delightfully Dry. All were blueberry wines and all were delicious. I also tried some Sangria and it was great too. Johannes says there are two pounds of blueberries in every bottle of wine. Since blueberries are a well known healthy antioxidant, even your doctor might approve of this particular alchoholic beverage. There is entertainment on weekends at the winery. They have a beautiful shaded deck with a lovely pond and fountain waterfall that creates a great space for their entertainers and visitors. The day I visited, the outside temperature was 95 degrees but the outside deck was still comfortable. 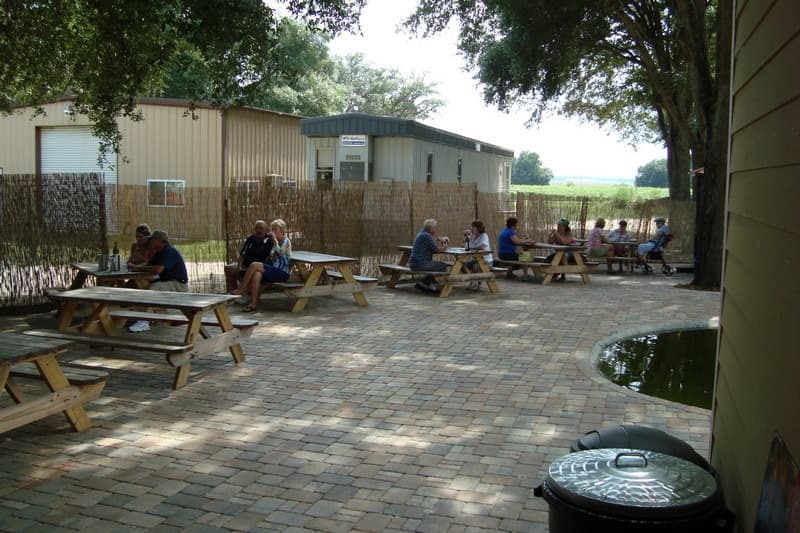 Whispering Oaks Winery is open 7 days a week from 1100am to 700pm.